If you’re looking for the absolute best for your restaurant or pub beverage gas cylinders, look no further than Empire Cylinder. We’re a locally owned small business, and we pride ourselves on offering fast, specialized service to our restaurant and bar customers in Daytona Beach and surrounding areas, including Titusville, DeLand and New Smyrna Beach. 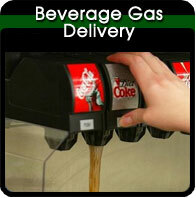 Why is Empire Cylinder Your Best Choice for Beverage CO2? Our beverage grade CO2 is up to 10 times more pure than the “food grade” CO2 that some other vendors use.Customers can tell when something just doesn’t taste right. While other companies settle for providing lower quality CO2, Empire Cylinder chooses to up the quality of the CO2 product. It truly does make a difference in taste, carbonation and freshness. Our fully refundable cylinder deposit saves you money in cylinder rental fees, and if you own your cylinders, we’ll waive the deposit when you trade them in.We’re all about saving our clients money on their services, and developing a long term relationship based on trust and quality service means that your CO2 needs will be taken care of for years to come. We offer a fully automatic valve system to replace your CO2 Cryo tank and only charge you for the gas you actually use – our customers are savings thousands of dollars!Again, we’re all about saving you time, money and stress – our services speak for themselves, but the benefit of choosing a professional beverage C02 provider means you have one less thing to worry about staying on top of at your restaurant or bar. 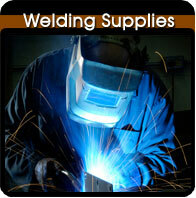 We offer night and weekend emergency service, and welcome walk-in customers during regular business hours. Our customers are important to us. We are focused on saving you money and providing the best quality beverage CO2 service in Daytona Beach and surround areas. Whether your business is large or small, we have the knowledge and expertise to provide you with top quality beverage CO2 at any ratio you choose. If you serve draught beers, including stouts, you know that the right ratio of gas can make or break the taste of the beer that you serve. We make sure you give your customers the best by giving our customers the best. If you’re in the areas of DeLand, Daytona Beach, Titusville, or New Smyrna Beach, contact Empire Cylinder today for any and all your beverage-grade CO2 needs. 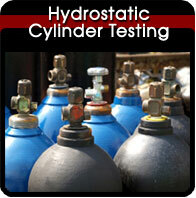 We also supply our loyal customers with Gas Cylinders, Hydrostatic Testing and Welding Gas.